The Fire Fighters Charity Chosen For Wimbledon 2018 Men’s Final Coin Toss. 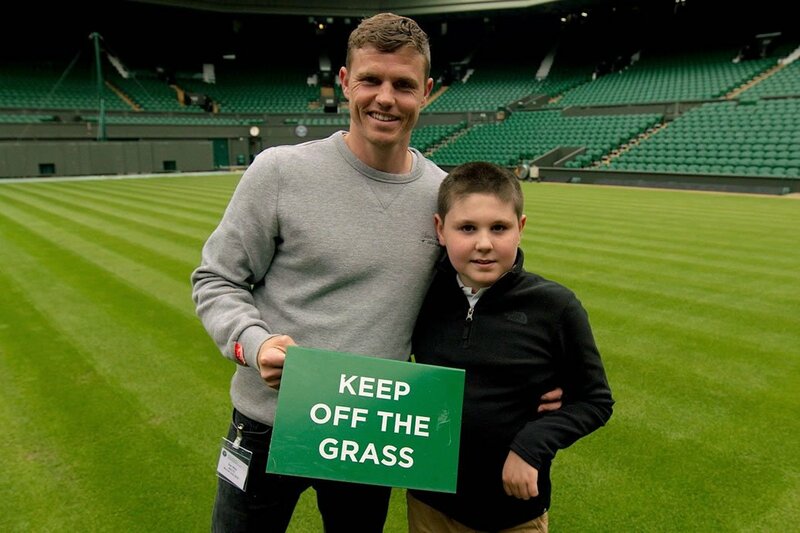 This Sunday 11-year-old Joshua Bills will step on to Centre Court at Wimbledon, representing The Fire Fighters Charity, to conduct the coin toss before the Gentlemen’s Singles Final. Joshua, who has complex needs and whose father, Dan, is a London Fire Brigade firefighter who was present at the Grenfell Tower fire last June, was chosen by The Wimbledon Foundation to carry out the important honour as he and his family were supported by The Fire Fighters Charity’s Child and Family Programme. The Charity’s relationship with Wimbledon has been a long standing one as The Wimbledon Foundation regularly donates to it in recognition of the role the London Fire Brigade play in delivering The Championships. Joshua’s father, Dan, is one of many London Fire Brigade Service Stewards who work across the event to assist the public in attendance. Dr Jill Tolfrey, CEO of The Fire Fighters Charity, said: “Joshua’s story exemplifies what The Fire Fighters Charity does because we’re very clear that it’s not just operational staff that need support, but actually the whole family. If the family is supported and functioning well, then the operational staff are able to do their jobs effectively and be there for us when we need them in times of emergency. The Fire Fighters Charity is reliant on donations from the fire and rescue community and general public to meet the £8.5m cost of operating its services for over 5,000 beneficiaries a year. Text FIRE to 70660 to donate £5 (texts cost £5 plus your standard network charge). You can increase your donation by texting FIRE£10 to 70660.